Tanyo dedicated sixty years of his life to the protection of Srebarna Dalmatian Pelican colony. Dear Reader, it is with deep sadness that I inform you of the end of an era! Our dearest friend and my mentor Tanyo Michev passed away on Christmas Day 2018. As we all know, Tanyo was a great Bulgarian ornithologist, naturalist and scientist who dedicated his life to wetland conservation and bird protection, and who inspired several generations of successors. Born on the 14th of March 1939 in Chirpan, he attended Sofia University in 1961 where he studied biology. After his degree he specialized in the study of the Dalmatian Pelican colony at Srebarna Nature Reserve. He dedicated the next sixty years of his life to the protection of this globally endangered species. In the early 70’s he became the one of the first Eastern Europeans to study at the Biological Station Tour de Valat in France where he specialized in wetland conservation. While he was there, he worked with Alain Crivelli, Alan Johnson, Olivier Biber and Luc Hoffman. The vital lessons learned there he then promulgated in Bulgaria. 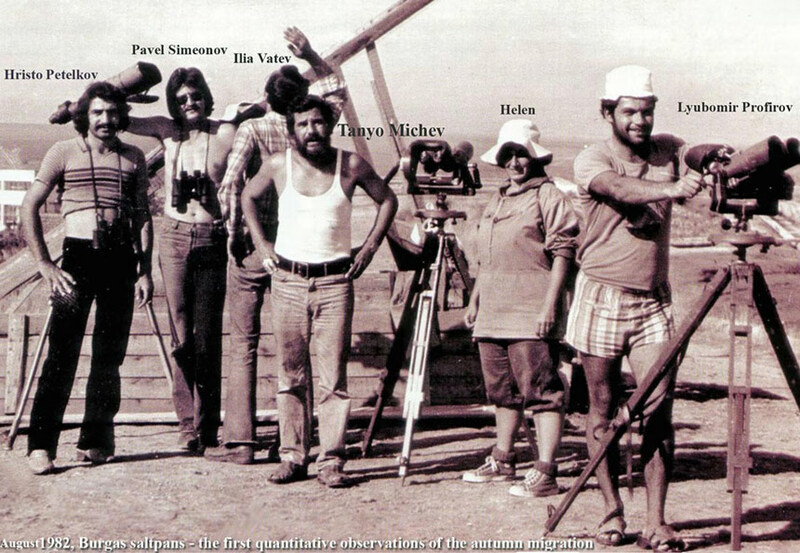 In 1977, together with Dimiter Nankinov, Bojidar Ivanov, John Roberts and myself, he initiated the first mid-winter census of waterfowl in Bulgaria. Since then, this Bulgarian contribution to a large-scale international initiative has continued every January, now into its second generation of ornithologists and volunteers. Another seminal event took place in 1978 with the first systematic and documented study of autumn migration of soaring birds in the Burgas region. Tanyo and I published the first 10-day’s observations made from the roof of the pumping station at Atanasovsko Lake. 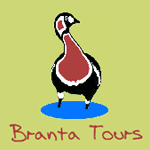 Now, hundreds of birding enthusiasts from all over the world gather at this magical place every year! Editor-in-chief of National Action Plan for the Conservation of the most Important Wetlands in Bulgaria (1995). National Contributor – Stanley Cramp. Co-author of both volumes of Fauna of Bulgaria (Birds) (1990 & 1997). Project Leader for the development of a National Action Plan for conservation of Dalmatian Pelican (Pelecanus crispus) in Bulgaria (2012). Co-author with Simeon Simeonov of the first ever field guide Birds of the Balkan Peninsula (both 1991 & 2012 editions). Conservation Director of Le Balkan Bulgaria Foundation since1995. Moreover, Tanyo initiated the establishment of the Bulgarian Society for the Protection of Birds and was its first chairman. I was very sorry to hear of the death of Tanyo Michev. I know that Tanyo played a vital role, over many years, in the development of wetland conservation in Bulgaria and remember the energy and dedication he brought to implementation of the Ramsar Convention, especially in the years immediately after the political changes, which brought so many new opportunities (including entirely new possibilities for international cooperation of course) but also such enormous challenges at national level. I always valued Tanyo’s advice and his good company when we worked together, whether at meetings and conferences (including the Ramsar Pan-European Regional Meeting in Varna in May 1995) or in the field. 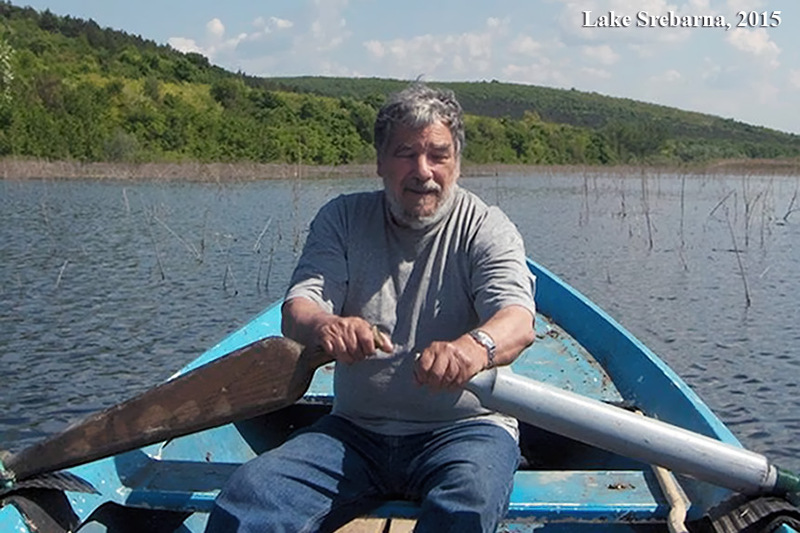 He has indeed left an exceptional legacy, not least in the generations of Bulgarian conservationists whom he inspired, or otherwise prepared the way for. Tim Jones (DJEnvironmental; European Regional Coordinator, Ramsar Convention 1994 – 1999). I remember well my short encounters with Tanyo Michev since the 1980s. There were too few of them, but they were always very inspiring. At the Tour du Valat research institute in France he was already known to my colleagues as a pioneer of the (then) young generation of well-trained Bulgarian ecologists and conservationists with an open mind and modern ideas. After the political changes in Central Europe, Tanyo and his fellows put Bulgaria rapidly on the international map, and the country became respected for its well-organised and pro-active wetland conservation work. I met Tanyo again in the 1990s, notably during the memorable Ramsar conference in Varna in 1995, and later again in Sofia and Srebarna when he worked on national wetland and bird conservation strategies and on the conservation of the Dalmatian Pelican. His colleagues and friends in the Ministry, the Academy of Sciences and in the newly established conservation NGOs and joint programmes with international donors always referred to Tanyo as their mentor and their scientific reference. We all have lost an important reference and will always remember him as an eminent personality of his time.